If you’ve wondered where I’ve been these past several weeks, I’ve been exploring my watercolor muse. I can’t honestly say what prompted me to go this direction, but it happened on a Friday and I’ve been hooked since then! And then, my friend Lisa Greer took me to a paint-along class and that cemented the idea in my head! 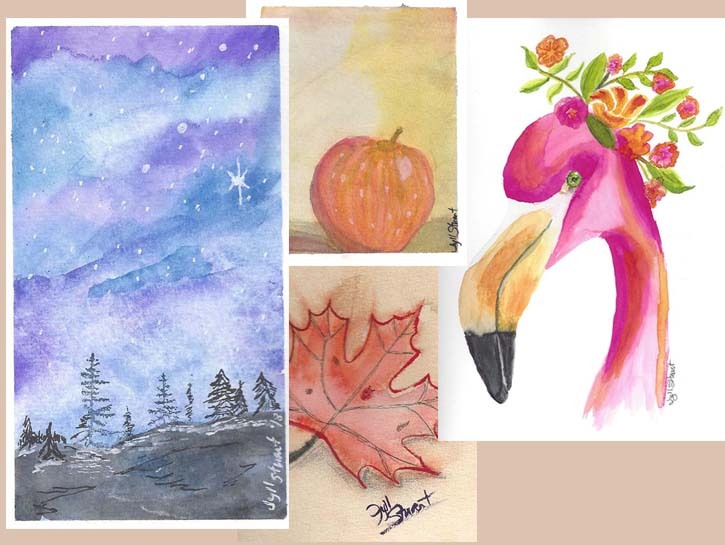 Last year, I picked up a set of Winsor-Newton student watercolors and a pad of paper at Hobby Lobby. I played a couple of times and then put them away. Then, I found Skillshare when I took a free class on Google Analytics. As I mentioned previously, Lisa took me to an acrylic paint-along class. I had a great time! Most of the places around here work with acrylics or oils. I did find an online subscription service that has Youtube tutorials and live paint-along sessions. I’ll write about that in another article! If you sign up for SkillShare, you’ll get two free months and I’ll get one free month. It’s a win-win deal!